Identifying possible risks in your innovation process takes a lot of mental energy, discipline and time, doesn’t it? By applying the RAT(Riskiest Assumption Test), you can define every hurdle and risk by executing small, agile and rapid tests. Identifying possible risks in your innovation process takes a lot of mental energy, discipline and time, doesn’t it? By applying the RAT(Riskiest Assumption Test), you can define every hurdle and risk by executing small, agile and rapid tests. Let’s take a closer look. Are you a creative mind who likes to innovate? An entrepreneur? Whatever you do, whenever you’re innovating, you’re aware of the hurdles and the risks that might occur. Being wrong can take you out of the innovation game. That’s when the RAT (Riskiest Assumption Test), appears. 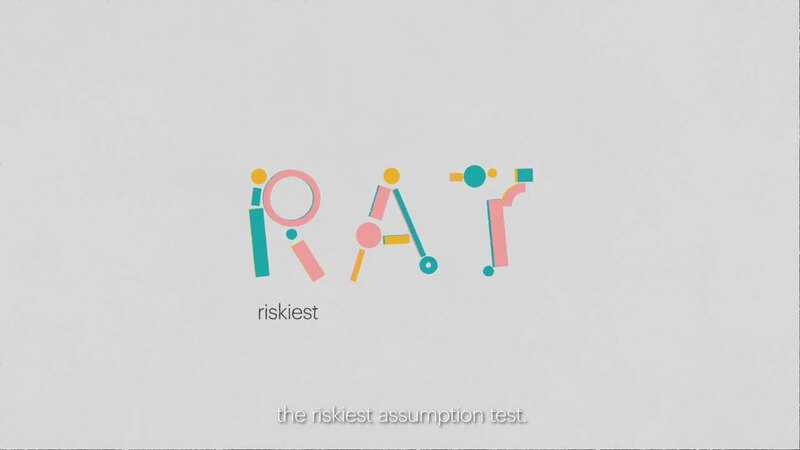 The RAT is the process of finding and testing the riskiest assumptions in your newest business model, product or service and validating them right away. But testing anything isn’t an option of course. It takes too much time and effort. So, first things first. How do you define the riskiest assumptions before you actually start testing them out? One of the best steps to get your assumptions right, is to rely on domain experts and advisors. Let them independently look at your model and let them raise the same questions or objections. Are their objections the same? Well, then it might be worth investigating the risk. Of course, you can rely on some universal risks that apply to almost every product/service as well. For example: what are your customer needs? What’s the risk they don’t like your idea? For example: if you’re doing 15 or more tests per year, the model enables you to quickly jump from one idea to another. And to quickly hop from one risk assumption to another is convenient when you have limited resources as a start-up, right? Especially when you compare the RAT to the MVP method (Minimum Viable Product), where you spend weeks on coming up with the perfect test without knowing the risks beforehand. Briefly said: RAT allows you to move forward and to build confidence in the viability of your concept. to our inspirational breakfast session about the RAT method on December 13th . See you there!